Item # 317641 Stash Points: 16,300 (?) This is the number of points you get in The Zumiez Stash for purchasing this item. Stash points are redeemable for exclusive rewards only available to Zumiez Stash members. To redeem your points check out the rewards catalog on thestash.zumiez.com. 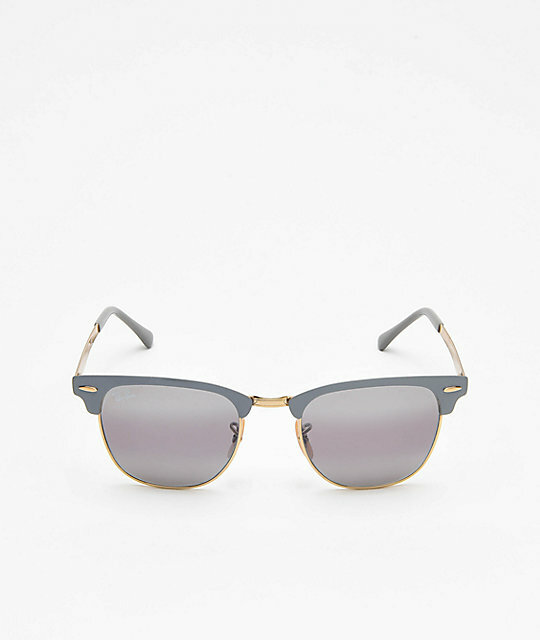 Ray-Ban's classic Clubmaster is back in a brand new form, dubbed the Clubmaster Gold and Matte Grey Bi-Mirror Metal Sunglasses. Although exuding the same classic lines and silhouette as the originals, these Clubmasters are composed of metal and embody a slightly heavier weight that when worn, provides a secure and durable feel. Finished with two-toned lenses, these Clubmasters have a unique personality despite its iconic surname. 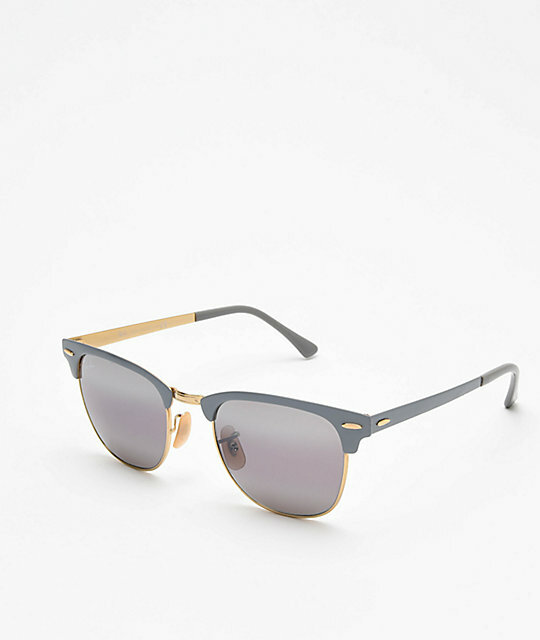 Clubmaster Gold and Matte Grey Bi-Mirror Metal Sunglasses from Ray-Ban. Matte grey and gold arms, gold frames. Rubber coated nose pieces for all day comfort. Gradient-mirror grey lenses for two-toned faded effect.